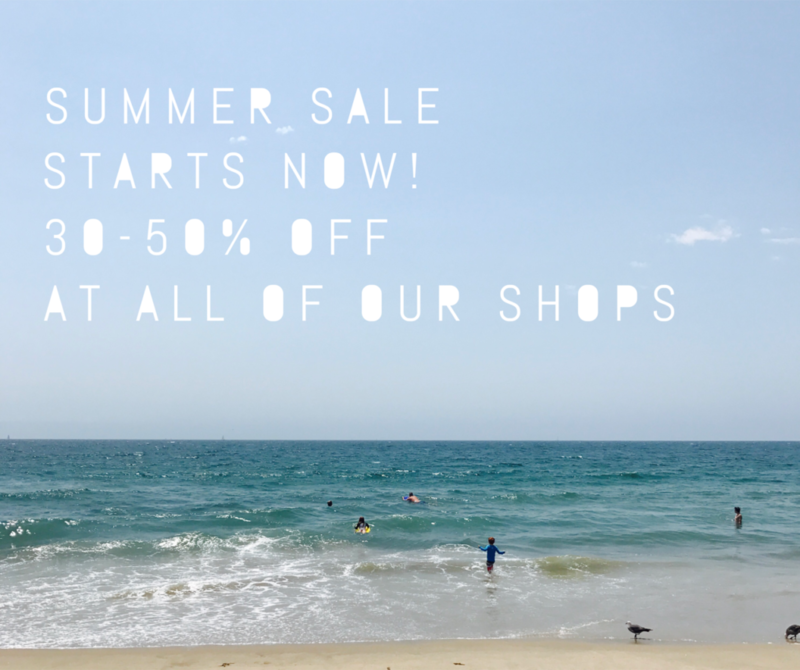 That’s right, take 30-50% Off SUMMER SALE items at all 3 of our shops, starting this morning at 10am. Don’t forget…you’re invited to our Surf Shack Summer Party tonight from 5-8pm! Our Hermosa Shop and Cafe will be open until 8pm. Come for dinner, sangria, live music and more. Meet Nina Freudenberger, the author of our favorite book, Surf Shack. And shop the SALE too!